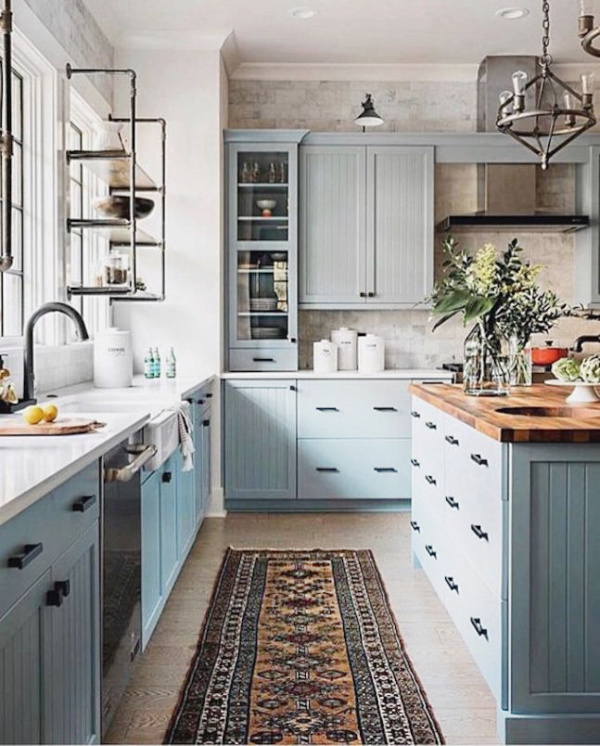 It’s easy to add farmhouse charm to any room in your house so we’ve gathered 13 farmhouse rugs you can actually afford. 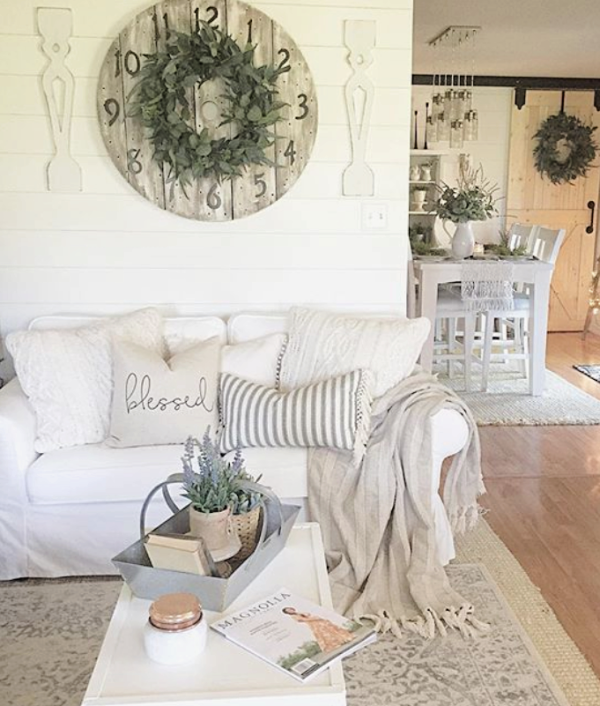 We are loving these farmhouse rug decor ideas to cozy up your home without breaking the bank. 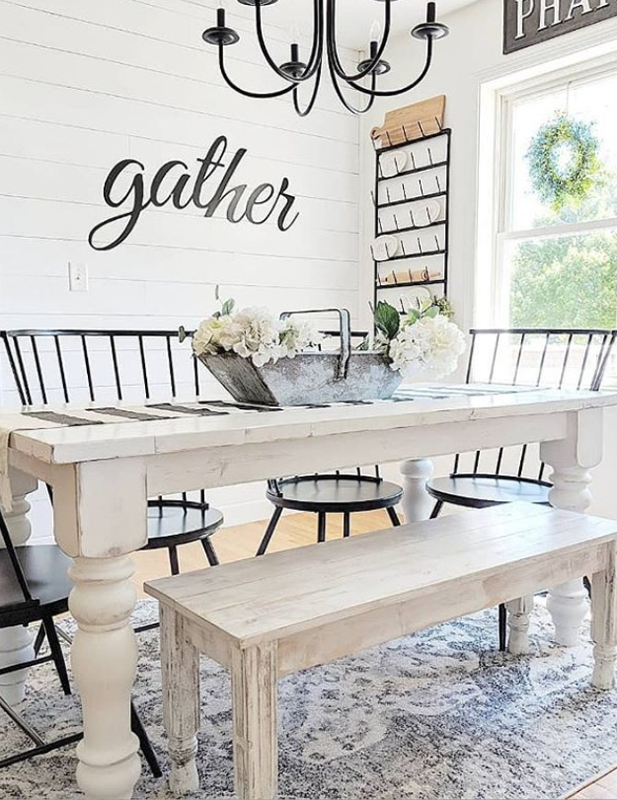 Are you loving this still-trending farmhouse decor? 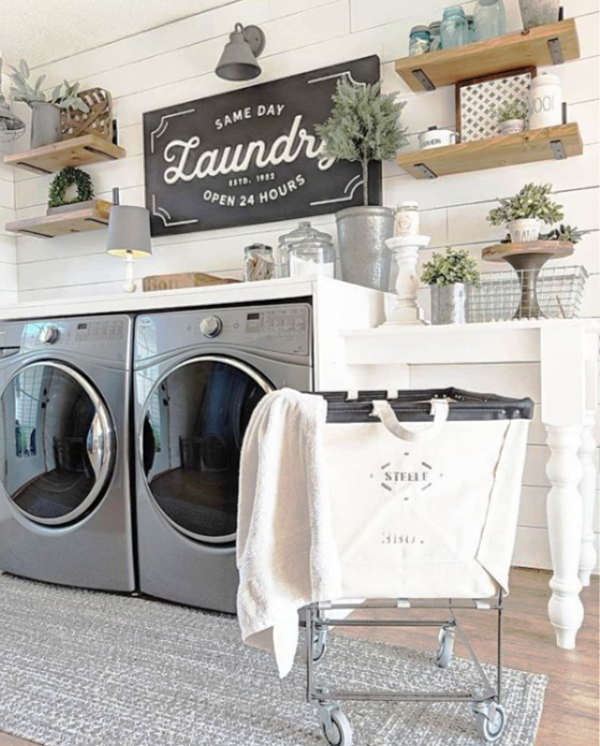 Since I live in an actual farmhouse, I’m personally excited the farmhouse charm is here to stay. It’s so cozy and warm and all about family which is why I suspect it’s still hanging around. 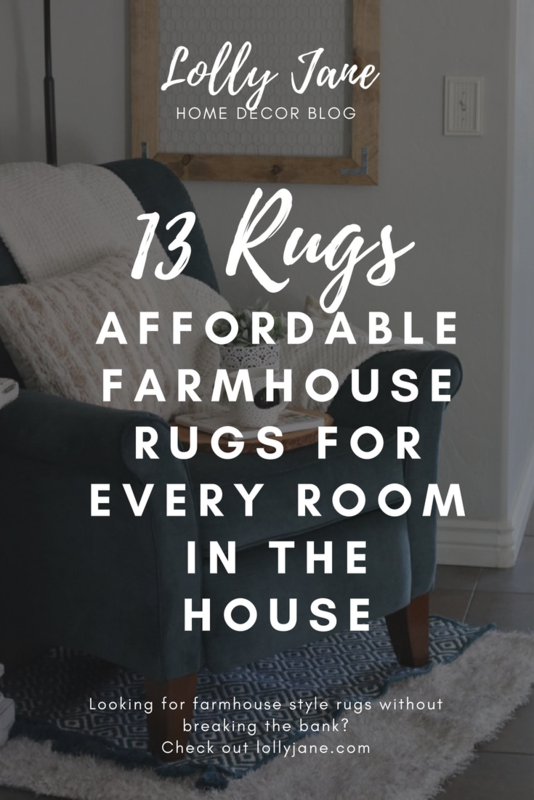 Here are 13 farmhouse rugs that won’t break the bank; farmhouse rug decor ideas that are durable yet affordable and will add that perfect rustic farmhouse charm to any room in the house! This post contains affiliate links. See our disclosure here. One way to ground your room is to start from there, the rug! Build your space from the ground up! We love rugs and each have way too many in our homes. Because we get them for super affordable prices, we’re able to swap them every couple of years as our kids and dog beat them up like Niki Spender (room 1) and Trox Place‘s (room 2) homes below. Do you notice how both of these rugs pull the rest of the room colors together? 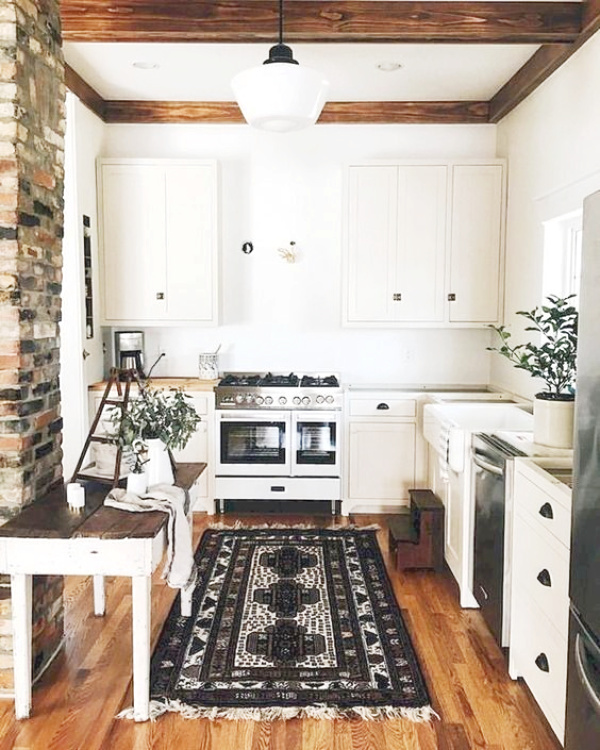 Try some of these farmhouse kitchen rugs like Becki Owens to get the same cozy feel in your own farmhouse kitchen or to add a touch of rustic farmhouse charm. An easy way to warm up your space is by layering farmhouse area rugs like Our Cotton Farmhouse has done below. Start with a jute base rug then add a patterned farmhouse rug. 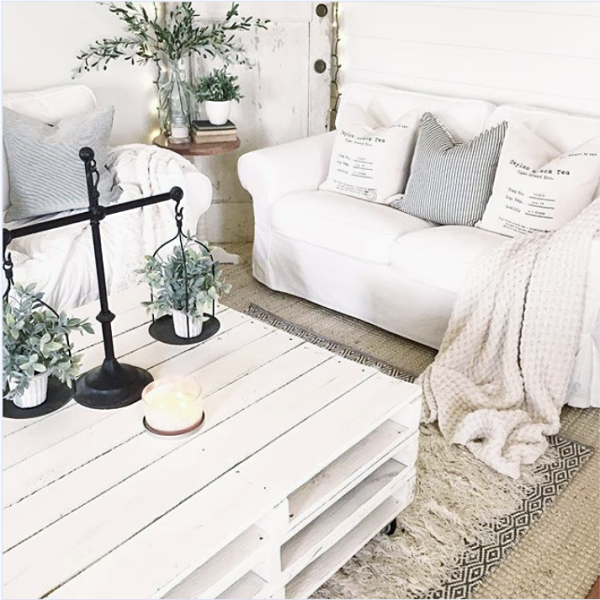 If you’re feeling extra cozy, add a tassel farmhouse rug for added depth. Layering rugs like this one from @freshstartfarmhouse can make a room feel cozy and add depth and texture at the same time. 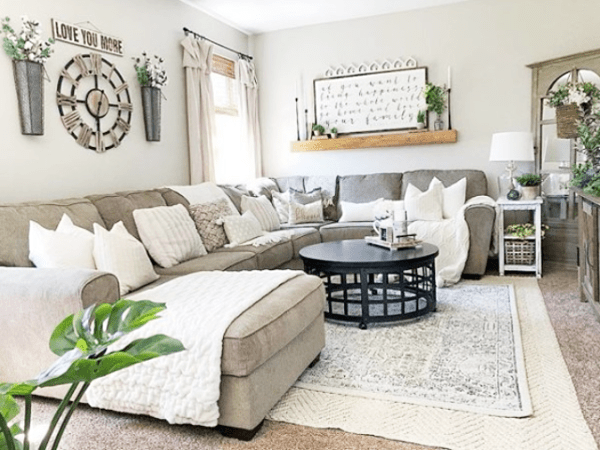 Love this family room farmhouse rug ideas, especially because it’s super cheap which makes it affordable to recreate this farmhouse charm. 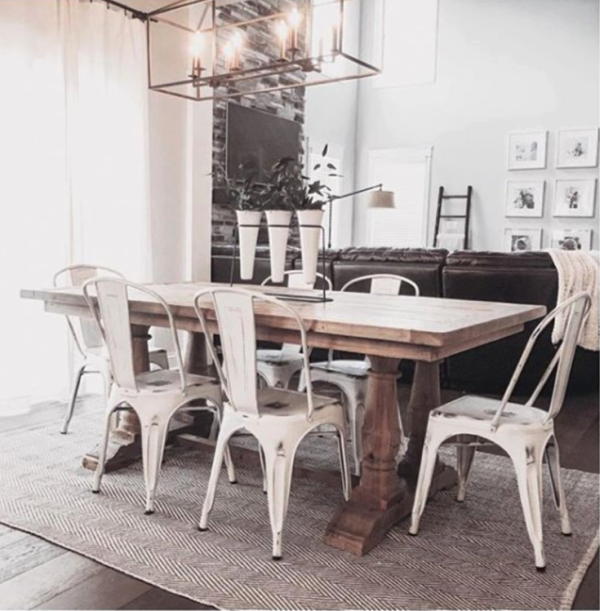 These rugs also look great standing along in this farmhouse dining room and darling farmhouse laundry room, both from @our_forever_farmhouse. We hope that helps narrow down your search. We love RUGS USA because of their affordable prices, constant sales to make it even cheaper and quick shipping. This isn’t a sponsored post but we did share affiliate links where we earn a few pennies if you’re purchasing it anyway, it doesn’t cost you anything extra. 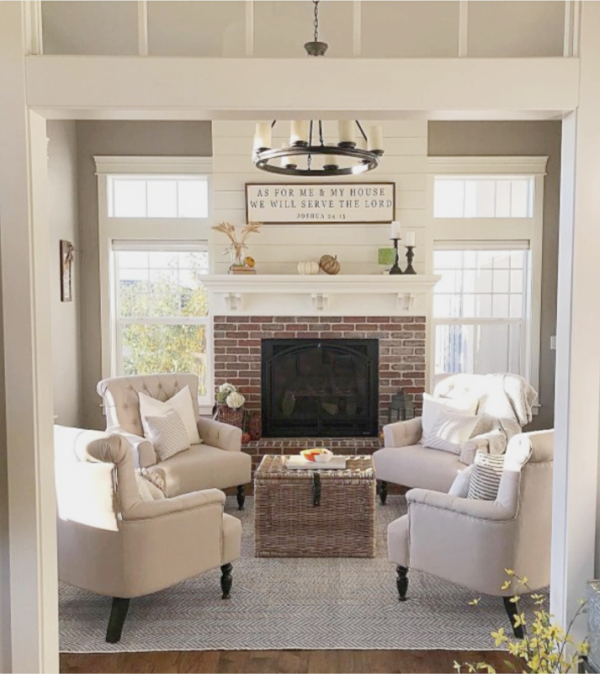 Now go enjoy your farmhouse rug decor ideas and tell us which one is your favorite! I’ve just come across your blog and I’m so loving what I see so far. I have been working on my home which is a little more modern but not too much. It is located just miles from town in two different directions and sits just in the country. The house is just enough to go modern or just enough to go country, so I’ve chosen to represent the country flair with a Hollywood glam kicker. This rug idea will perfectly help me do that. I love the fact that they are layered. I also really love your style which I think will help me to incorporate mine!